Hope and Despair, originally uploaded by johnwmacdonald. 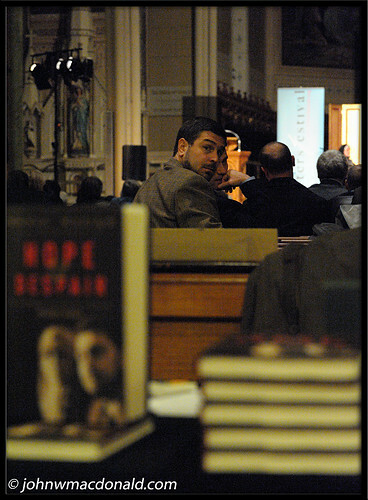 Maher Arar turns for a quick look during his wife's book launch at Saint Brigid's Centre for the Arts & Humanities, Ottawa on 6 November 2008. This is a remarkable story of personal courage, and of an extraordinary woman who lets us into her life so that other Canadians can understand the denial of rights and the discarding of human rights her family suffered. Candid, poignant, and inspiring, this is the most important book of the season."